You are well into another busy day of working through prioritized tasks when you’re interrupted by the phone ringing. After you courteously answer the incoming call, you are greeted by a pre-recorded message claiming to be Google or some other official sounding alarmist informing you that your local business listings are inaccurate and need fixed… gasp! If you don’t hang up right away, they continue on to tell you all about a problem you didn’t even know you had and how they can fix it for you. As you hang on the line, you start wondering if there is any merit to this or just another solicitation wasting your time. Did this happen to you yet? Maybe it happens somewhat frequently. Is there merit to the claims your company has inaccurate local business listings on the internet and do you really need to do anything about it? 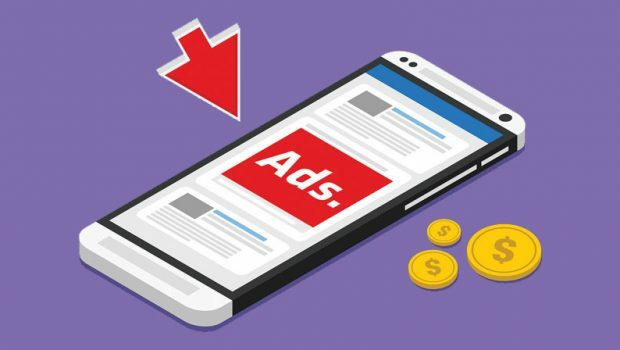 There are many soliciting companies that can fall into this scenario, but one of the biggest players in this space is Yext. Yext has evolved as a source to control and manage local business listings online. One way they obtain customers is by placing phone calls to business owners telling them of the problem described in the above example. Another way they spread their message is by recruiting digital marketing agencies to resell the service as their own private service. The good news is for only $400+ dollars, they (or an agency partner) can make sure your local listings are correct; but not all the listings, just around 50 or so. And if you want those listings to stay accurate, you must pay them a monthly fee for the rest of your life. Those monthly fees depend on how greedy the solicitor is. We’ve seen monthly fees range from $20-$100/month, just to keep your business name, address and phone number accurate. Don’t pay and supposedly your phone number may mysteriously change to someone else’s number. There are literally thousands of places online your business listing can be. Why should you pay over $400 a year to fix a few, and where do they all come from? All those websites with listings are being fed by 4 main sources called data aggregators. It’s the same way the big old phone book listings got their data, from just a few aggregators of data. These online data aggregators periodically update their information and distribute the new data listings downstream automatically. That’s right, automatically and without you paying for anything! Now that you know that, it would almost seem any solicitation service requiring you to pay monthly fees for this service, would be wrong. But you can draw your own conclusions. If there are oddball websites that can’t accurately get the information from the data aggregators, they shouldn’t be listing information and are not quality sites. Technically it would be great if all those meaningless sites had accurate information, but it doesn’t really matter if they don’t. Google won’t give them value anyway. Yext has their own network of business listing websites. Other competing services have their own unique list too and they want hundreds of dollars to update their list as well. You can usually run “audits” on their websites to see how you fare. However the only way to truly pass Yext’s audit test is to use Yext. A closer look usually discloses that some of the things they fail you for, is because your listings don’t “stand out”. The only way to make them “stand out” is to buy an upgraded service from Yext. All that being said, I do want to confirm that accurate NAP (name, address, phone number) listings (also called citations ) on quality websites can help you show up better online. You should be sure all your major NAP listings are up-to-date. This includes your website, your social media accounts, your map listings in Google and Bing and any other authoritative resource with heavy traffic. 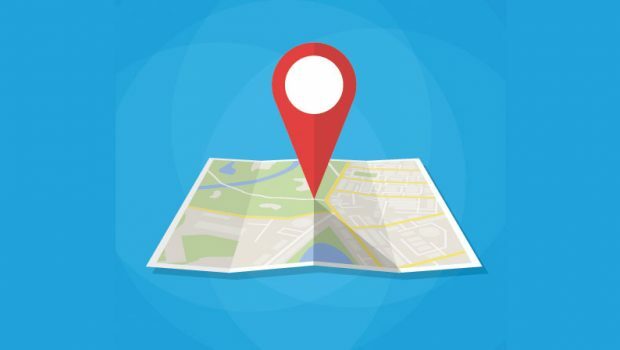 If you want to show up better in the local marketing map in search results you first and foremost must claim & thoroughly optimize your Google Local and Bing Local profiles and try and get people to leave online reviews in those profiles. That doesn’t solve the local map problem, but it is a huge step in the right direction. It should be noted though, if your business is not located in the city being searched, 99% of the time you will not show up in the local map results no matter what you do. 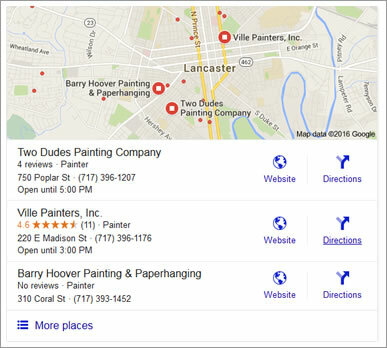 Google used to show 7 results in the local maps, now they only show 3 (Bing shows 5), making it even harder to appear there. You will seldom move the organic needle by claiming or updating an address or phone number from Yext or any other citation “fixing” service. Most of those citation sources already have your business listed and any website link provided is usually a no-follow or redirect anyway passing zero link juice onto Google. Who really cares if Yext can help you claim your listing on a site nobody heard of, or uses. 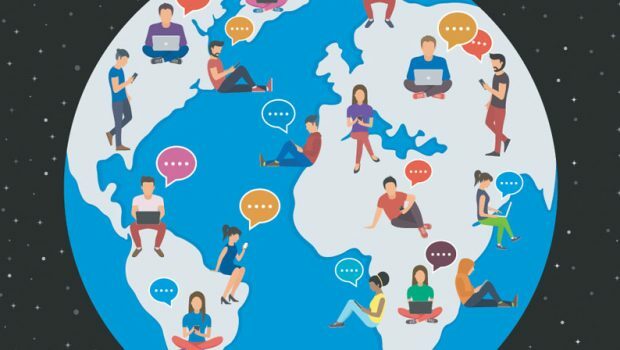 Now that you know a little more about how local business listings work, you can decide for yourself if services like Yext are needed for your company. As a company owner, we don’t use the service for ourselves, nor do we recommend it to most clients. So next time you get one of those phone calls, don’t let the commissioned sales rep alarmists scare you into a service you don’t need. Don’t let other digital marketing agencies tell you different because they might be reselling Yext services. WebTek has chosen not to resell Yext’s service (or any other similar service) despite numerous attempts to persuade us including one just today. We look out for our client’s best interest, not in generating unethical revenue streams. My advice to you is to find a company you can trust and invest in some real internet marketing strategies that actually yield a return on investment. Yes, local business listings can play a part of an overall marketing plan, but you need to be smart about what you engage in. A reputable digital marketing company can help implement the local strategies you need and help you discern which ones you don’t and where to invest wisely with digital marketing.